An expert in capital-market-based accounting research, Samir M. El-Gazzar is the KPMG Professor of Accounting at the Lubin School of Business, Pace University. He has previously served on the faculties of Columbia University, Rutgers: The State University of New Jersey New, Baruch College of the City University of New York, and Tanta University in Egypt. Dr. El-Gazzar's research focuses on capital-market–based accounting issues, information production, and financial contracting. His publications appear in top accounting and finance journals such as the Accounting Review, the Accounting Horizons, Journal of Accounting and Economics, Journal of Accounting, Auditing and Finance, Contemporary Accounting Research, The International Journal of Accounting, and The Journal of Business Finance and Accounting. 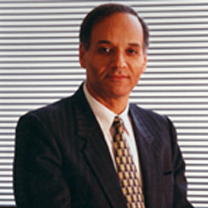 Dr. El-Gazzar also contributed to the Encyclopedia of Management, published by the Blackwell Publishing, England. Dr. El-Gazzar teaches courses in financial reporting, accounting theory, research methodology in accounting, cost and managerial accounting, and contemporary issues in accounting. Dr. El-Gazzar also teaches doctoral concentration seminars in accounting, and supervises doctoral students during their dissertation work. Dr. El-Gazzar was awarded his Ph.D. in accounting from the Baruch College-Graduate School, City University of New York. Dr. El-Gazzar has served on as an expert on the audit committee of the Pace University’s Board of Trustees for two consecutive terms. Dr. El-Gazzar has also consulted with numerous business as well as academic institutions. Business consulting services include reconciliation of financial reporting problems with the SEC, debt contracting for financial institutions, financial reporting information systems’ review and evaluation, data mining and grouping. El-Gazzar, S. M., Finn, P. M. (2017). Restatements and Accounting Quality: A Comparison between IFRS and US-GAAP. Journal of Financial Reporting and Accounting. 15(1), 39-58. El-Gazzar, S., Jacob, R., McGregor, S. (2015). The Relative and Incremental Valuation Effects of Embedded Value Disclosure by Life Insurers: Evidence from Cross-Listed Firms in the US. Accounting Horizons. 29(2), 327-339. Chan, K., El-Gazzar, S., Jacob, R., Lee, P. (2015). Compliance and determinants of U.S.-listed foreign firms’ 20-F filings under the new Securities and Exchange Commission accelerated deadline. Journal of Financial Regulation and Compliance. 161-178.